On Muni, what’s cooler than being cool? A: Being an ice-cold, cold-blooded passenger. Like San Francisco’s famed Skippy the iguana and Charlie before this newest find, pets of all stripes are guaranteed to upgrade your commute. Our cute-on-transit category is crawling with all the scaly, fuzzy, and furry creatures we love spotting during our daily travels. Oh, and there are also pictures of pets. Boom! 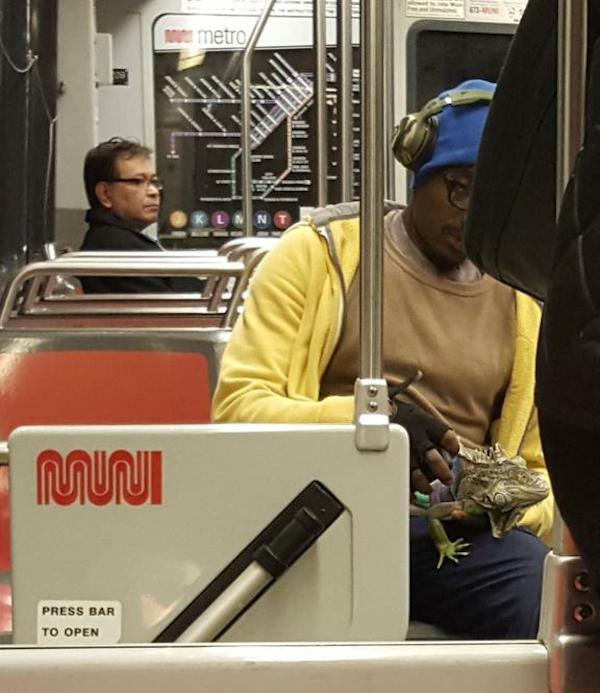 h/t Muni rider jvh for this recent snap.